If you are like most fountain pen users, you would probably like to improve your handwriting. I know from experience how frustrating it can be to scroll through photo after photo of images with beautiful handwriting on Instagram, only to pick up a pen and struggle to write consistently or legibly. While I definitely don’t have the best handwriting around, I have managed to improve it over the years. Fortunately, there are many different ways to improve your handwriting. Unfortunately, there is no shortcut. They all take time, dedication and practice. If you’re in, read on. You can see that, although the differences are subtle, adding a touch of italic style to your handwriting can change the way it looks. Another font that you can easily practice is printing in all capital letters. I started experimenting with this font about a month ago and am really enjoying it so far. While it isn’t an automatic writing style yet, it is starting to feel more comfortable. It really forces me to slow down and concentrate on my writing so I don’t start writing in lower-case letters (which tends to happen from time to time). Writing in all capital letters forces me to slow down, as I have never written like this before. What if you’ve never learned cursive and now want to? Take a look at these cursive writing worksheets. They should get you started on the path to writing in cursive. 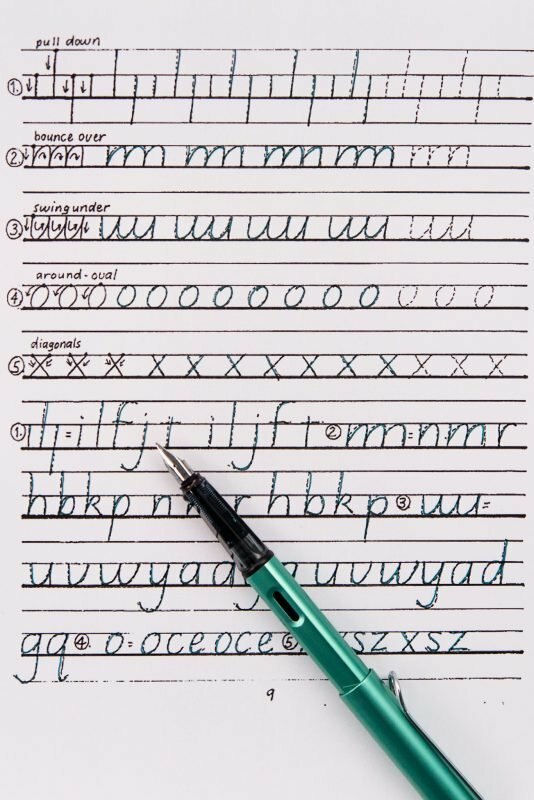 While they might look basic, keep in mind that this is how most people learned how to write in cursive. If you’d prefer a video course, I haven’t taken this one before but have heard good things about it. If you’re not interested in learning a new style and just want some simple practice or solutions to common problems, this large worksheet has lots of writing prompts that you might find fun. Again, it might seem a little basic, but if you just want to practice writing and don’t know what to write, this is a good place to start. Here are some simple italic drills. When done on a regular basis, you’ll start to notice a change in your handwriting. To get the most out of these worksheets, you’ll want to print them out and write directly on them. I would highly suggest printing them on fountain pen friendly paper like HP 32lb Premium Laserjet. 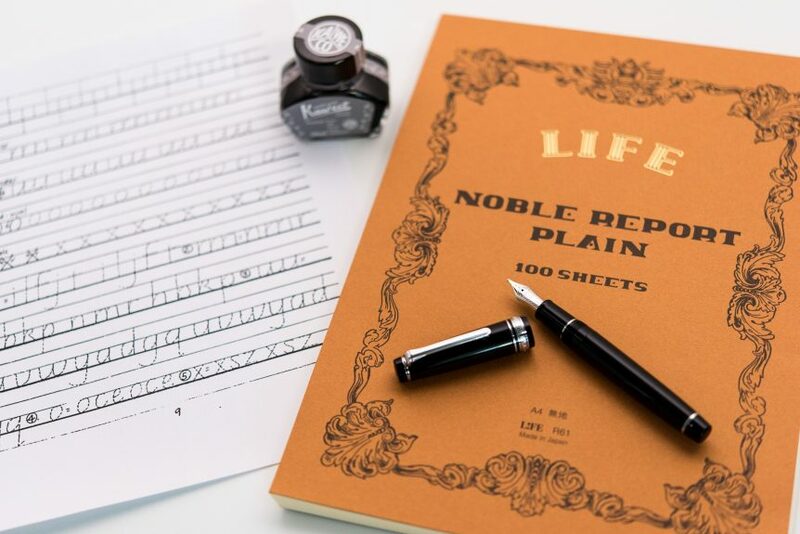 By using nice paper for practice, you’ll actually get to enjoy using your fountain pens while improving your handwriting at the same time. Practicing on good paper makes it more enjoyable. 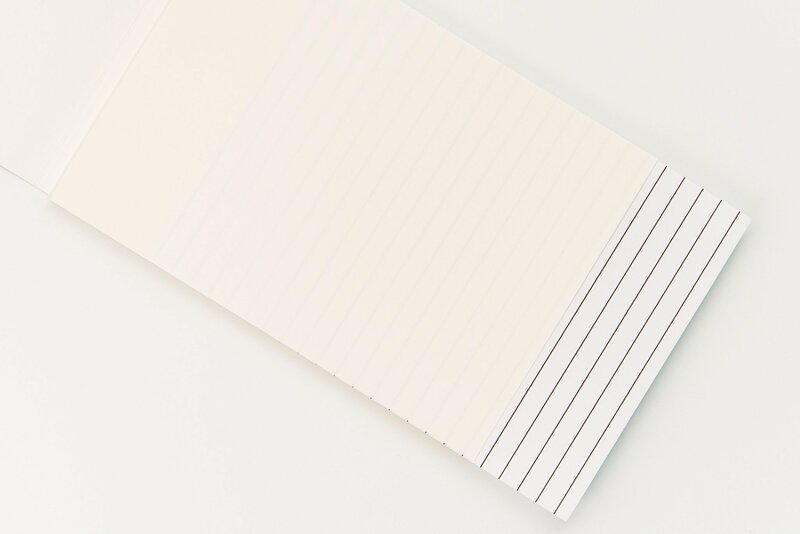 If you don’t want to print the guides and prefer to write on blank paper, be sure to download some guide sheets or use the one that came with your paper. These go underneath a blank piece of paper and help you write in a straight line. You can also just build your own lined or dot-grid patterns and print them directly onto the paper of your choice. Using a guide sheet will keep your writing straight and more consistent. Learning a new font is one way to improve your handwriting, but you can also bring about big improvements by focusing on the details of your current writing style. One of the reasons most people aren’t happy with their current handwriting is because it is not very uniform and consistent. Fortunately, it is not very difficult to make significant progress in this area. First, take a look at your letter size and spacing. Unevenly sized and spaced letters can make handwriting seem sloppy and irregular, even if the actual writing itself is good. When you are writing, focus on the size and spacing of your letters and try to make them more even and uniform. More even size and spacing can make a big impact on how nice your writing looks. Next, look at the individual components of your writing, specifically the lines and loops. Again, if they are not consistent, your writing will not look as good as is possible. To improve in this area, simple drills of lines and loops on a regular basis can make a big difference in how your writing looks. 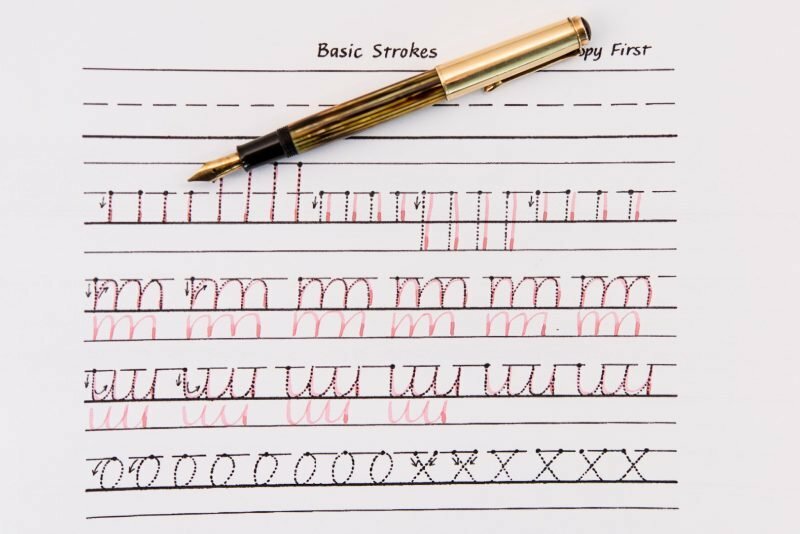 No matter how much you want your handwriting to improve, it won’t happen without practice. In order to see a considerable improvement, you don’t have to spend a huge amount of time practicing every day, but you should plan on doing some daily practice. If you’re not used to writing for an extended period of time, 10 minutes might be a good amount of time to start with. As your stamina increases, gradually increase the amount of time you spend writing. A good target time is 20-30 minutes of writing per day. Keep in mind that not all of your writing time has to be spent doing drills and practice. While it is important to do drills on a daily basis, you’ll also want to do some practical writing. That could be writing in a journal, writing to a pen pal or writing passages from books, songs or movies. 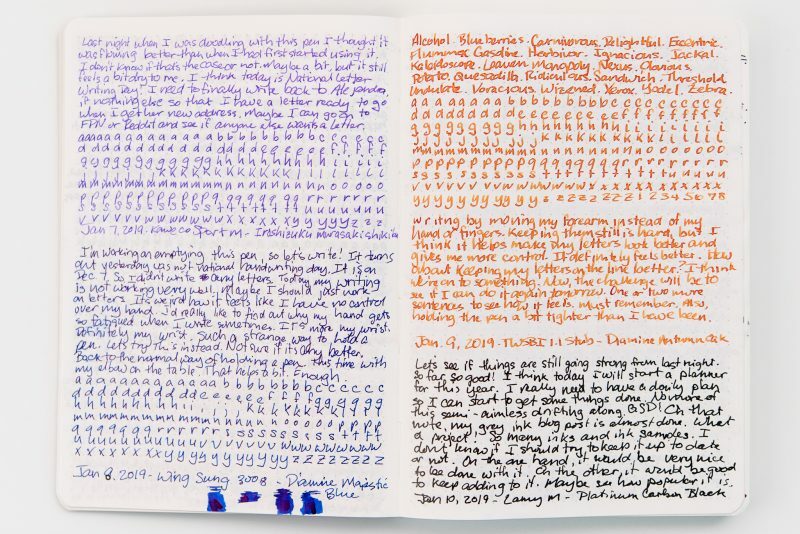 Practicing your writing in a journal is a great way to improve over time. Another important part of handwriting practice involves your posture. Proper posture helps you have better and more consistent handwriting. What is the proper posture? Ideally, your feet will be flat on the floor and your knees will be bent at a 90-degree angle. You should also be sitting at the back of your chair instead of on the front of it and sitting up straight. This means no practicing your handwriting while sitting in bed or on the couch. In addition to how you sit, an important part of posture is how your paper is positioned relative to you. You should sit parallel to your table, but your paper should be turned at a 20 to 45-degree angle so that your writing direction moves away from your body. How you hold your writing arm also matters. You don’t want your arm to be squeezed into your side, but you don’t want it too far from your body either. Your arm position should be close to perpendicular to your paper and not angling in from one side or the other. Ideally, you will also use your arm rather than your wrist and fingers to move the pen. While it may seem odd at first, decreasing the use of your hand and instead using your arm to write will eventually lead to better control and less fatigue. Finally, when you’re practicing your writing, keep in mind that your goal is to improve. This means that you don’t need to speed through and write at your typical pace. In this case, quality is more important than quantity. Slow down, take your time and focus on what you are writing and how you are writing it. You’ll be amazed at how much better your handwriting can look when you slow down and focus on the shape, size and spacing of your letters. Discount Opportunity: Katie, the creator of the handwriting video I linked to, reached out and wanted to offer her course to Fountain Pen Love readers for 50% off! Just click this link or the link in the article for an instant discount. Thanks Katie! Another technique for improving one’s penmanship is to focus on moving the whole forearm rather than just the wrist to make the letter strokes. This involves more muscles, and larger ones, that help improve accuracy and endurance. If you watch master calligraphers their wrists and fingers barely move at all; the entire arm is used to achieve an incredible degree of fluidity and precision. I have recently started the practice regimen to change from a lefty side writer to become an under writer, with the paper properly rotated now about 30 degrees clockwise. It takes a lot of time to undo the eye-posture-hand muscle memory to learn the new approach, but I can see improvements after several weeks. I have made my own guide sheets with pairs of 1/8″ spaced lines for the lower case letters, and that pair spaced 1/4″ apart to allow ascenders and descenders not to overlap. This is the same line spacing as in the Doane pads and I find it a good layout for practice. I also ran a series of 60 degree (off the baseline) diagonal lines across the page to help maintain a consistent slant to the letters. This is a bit more upright than other guide sheets that use 52 degrees, but I find it more comfortable as a lefty. I can make a PDF copy for anyone who wants to use it under blank sheets. This is very true and is something that I’m working on myself. It is hard to break the habit of moving one’s fingers and wrist, but in the long run is probably a good thing to learn.